An instance of a program is called a Process. Basically, any command that you give to your Unix – Linux machine starts a new process.The Linux terminal has a number of useful commands that can display running processes, kill them, and change their priority level. This post lists the classic, traditional commands, as well as some more useful, modern ones. We wrote this tool briefly this post.The top command is the traditional way to view your system’s resource usage and see the processes that are taking up the most system resources. 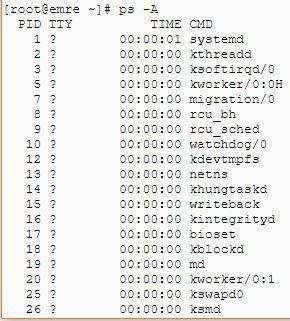 Top displays a list of processes, with the ones using the most CPU at the top. 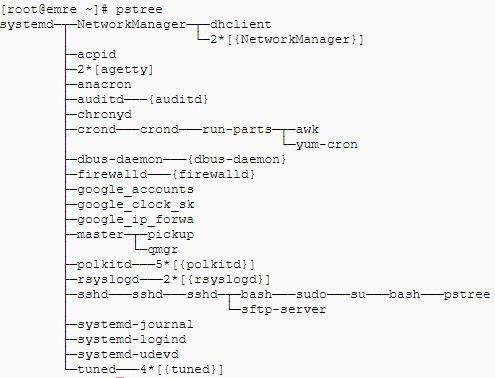 pstree shows running processes as a tree.If you’re using a system which has a lot of users, and you’d like to see who has started a particular script, daemon, or binary, then the pstree utility is very helpful. It draws a tree of all currently running processes – allowing you to see which processes are related. Kill command can send any signal to a process. You can use kill -KILL or kill -9 instead to kill a stubborn process. pgrep looks through the currently running processes and lists the process IDs which matches the selection criteria to stdout. To change the priority of a process that is already running, use the command renice.A value of -19 is very high priority, while a value of 19 is very low priority. A value of 0 is the default priority. How to develop monitoring plugin Nagios?